Lovely early bloomer. Useful for colonizing shaded areas. 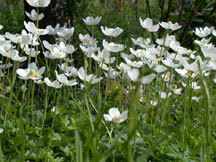 Can be divided in very early spring or right after flowering.